Check out Stanley&Empress on Friday’s Fashion’s Night Out! 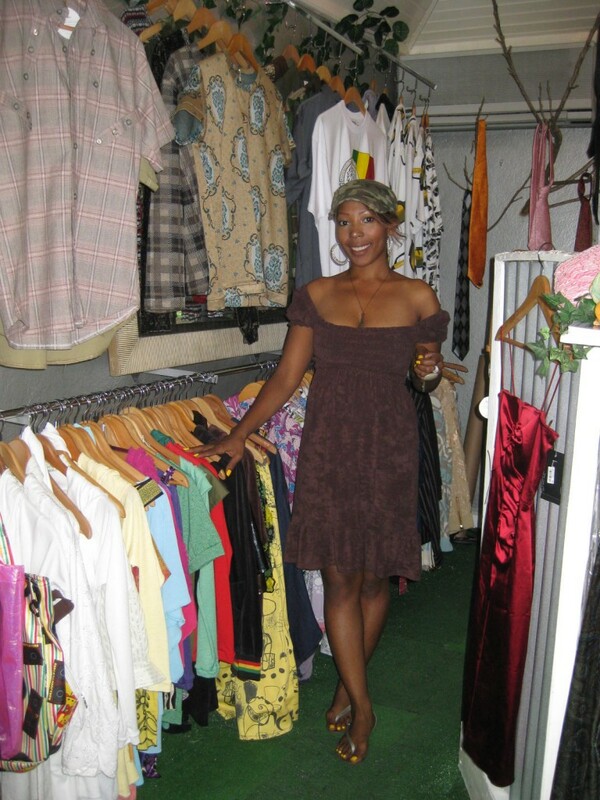 Stanley&Empress Boutique will be making this event an unforgettable shopping experience with music, fine wines and cocktails, fabulous Jamaican designs and BARGAINS galore. Starting at 5p.m on Friday, September 10th Stanley&Empress Boutique will be discounting all the pieces in the store including new stock by TNT, Harts In Irits, Anarcy, Jaya, jewelry by YardEdge and much more by up to 50% until 10p.m that night. Stanley & Empress is located at 94 Hope Rd., Starapples Restaurant Courtyard. YardEdge: What is Stanley & Empress? Nadia: It is a unique, creative, exclusive brand that starts with a password only clothing boutique but spans to chic event planning. YardEdge: Describe your vision for S&E? What are you trying to create? Nadia: We are in the process of creating a lifestyle brand that balances the ying and yang of everything in life. High end and street to shopping to dining out ..a company that embraces public relations, interior design and branding consultation. YardEdge: Why did you decide to open? Nadia: We decided to open the clothing boutique because there was a need to reinvent the industry and make clients aware that there are local designers that rival international brands. There was a need to try to squash the mentally that fashion has to be directed by pre conceived ideas. YardEdge: Are there others behind S&E? YardEdge: Tell us about your experiences so far- what have you enjoyed, not enjoyed? YardEdge: Tell us a little about yourself? Nadia: I’ve worked in all aspects of the entertainment industry, was a fashion manager in DC, was a fashion model in Boston, schooled in Italy for fashion business, came to Jamaica and was formerly the Production Manager of RE TV and currently own Stanley & Empress boutique and focus on music videos and producing for stations such as BETJ. Empress has done the same as a previously Sony signed artist in Australia, to touring all over the word as a singer coming to Jamaica, branding herself as a top TV personality, focusing on humanitarian causes and charities to owning Stanley & Empress boutique and hosting a radio show on Newstalk and a TV show Magnum King and Queens of Dancehall. YardEdge: How has it been starting out? Nadia: We opened a boutique in Crossroads in 2006, we were able to open 4 months after the idea came to our heads (with extreme hard work of course). It was rough but fulfilling, the second time around it comes a little easier but it still is meticulous when you are trying to reinvent the wheel and give clients something they’ve never experienced before. Nadia: We couldn’t be happier but we are continuously setting our goals higher because we know the sky isn’t even the limit for our brand! YardEdge: What kind of marketing have you been doing? What has worked? Not worked? Nadia: We strive with Word of Mouth marketing which has been a success especially in a culture that thrives on that. Every client is either directly invited by us or referred to us by someone else that has been to the boutique. This creates a personal, home atmosphere that our clients love. Nadia: At first it was to get people to think outside the box and understand what we were trying to do and often people take try to focus on the negative. People saying that we are trying to exclude people with a password and we are only catering to an uptown market which couldn’t be further from the truth. We don’t define clients by those terms and we made the password to include a niche of people that don’t want to be seen in the same styles as everyone else and wants a more customer oriented shopping experience. 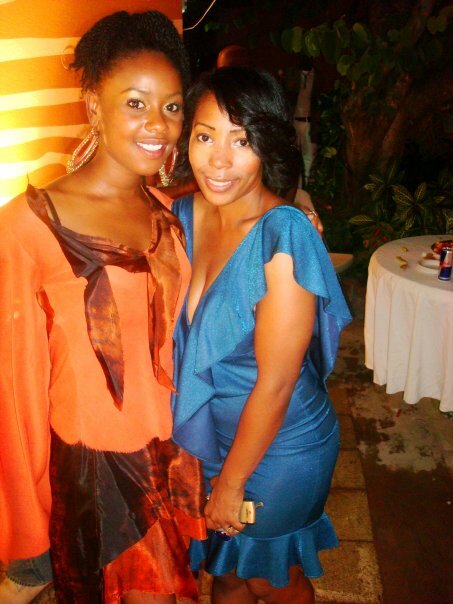 Nadia: Helping people find their style, bringing Jamaican designers to the forefront, setting trends! YardEdge: How would you describe the vibe there? Nadia: SO SIICKK, it’s a special experience the vibe is upbeat but cozy in the boutique and our events can range from the Sunday flex to a mellow evening watching the superbowl or raucous with our 400 person Circus themed launch with fire throwers jugglers and performances by Tarrus Riley and Yellowman to name a few…..
Nadia: We have a piece for people of all ages and backgrounds, you might not find a matching outfit from head to toe but you are guaranteed to find pieces that will make you stand out and shine! Watches to mini skirts to ties to ball gowns something for any occasion! YardEdge: What is the price range? Nadia: Low to high, high to low we pride ourselves in pricing our pieces so that people don’t have to let price be the gauge on a purchase. YardEdge: What are the most popular items? Nadia: Andesew Coccoon ponchos, I&I Ts, Bwoy Beatazz resort wear but everything in the store from Poshe, Balashawn, Tuff Like Iron to Romeich have their strong periods…. YardEdge: Do you have events? plans for events? Nadia: Don’t Run From the Sun-days every Sunday from 5-10 pm in Starapples Courtyard, and we had a Chocolate City series and the events we have for this year (you soon find out). We are in talks with a lot of Corporate and Entertainment based clients that want Stanley & Empress to help brand and plan their events so it will be exciting! YardEdge: What are the best days/time to visit? Nadia: The best time to visit is the best time for you to visit, we make our hours fit the average client that comes to us open later after work and on Saturday and Sundays! But Wed to Sat 12-8 a real good time to come..the Best time is Sunday 5-10pm…. YardEdge: Any advice for others thinking of opening a similar spot? Nadia: Have passion and be creative and anything is possible regardless of money. Can Jamaica Afford to Cut Funding to the Arts? fullest with every carefree step. You can bond with your children by playing a fun video game together. are on a tight budget. times and your kids will be able to play games without any problems. Most likely, someone explained the rules of the road. casos urgentes las veinticuatro horas. this impressive post at aat this place. put up was once great. I don’t know who you might be however certainly you’re going to a famous blogger should you aren’t already.